MBOX to PDF Converter Software helps you to export data from MBOX email client to Adobe PDF file format. The MBOX to PDF file conversion is always very risky and data loss or data corruption is highly possible. So you simply can’t afford to take risk. 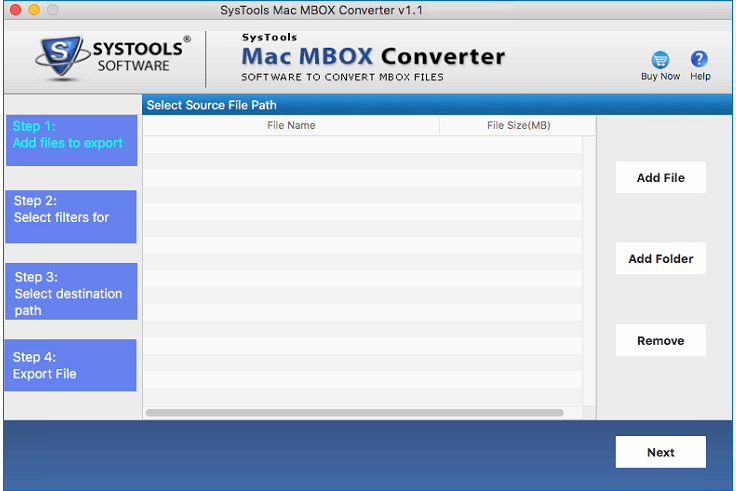 With this tool, you can quickly perform selective migration and multiple MBOX file Conversion. Show the preview of content from MBOX file in safe mode. Without any supports software helps to analyze & convert MBOX to PDF. Preview of all emails with attachments. Allows to Export MBOX emails to legal document format; PDF. Provide Switch view as Horizontal and Vertical Mode. Once reviewed, you can additionally send out the messages of your MBOX files into Portable Document Format (PDF). Each & Every email will be changed over into the legitimately perceived and satisfactory PDF filea while their separate attachments will be inserted inside, in unique formats. Software convert MBOX document to PDF file gives you a chance to break down MBOX data from any application. This has an advantage from legal sciences perspective as you require not need to have different applications to remove the information from MBOX documents built on separate platform. There are no any file size limitation required so that you browse any size of file. 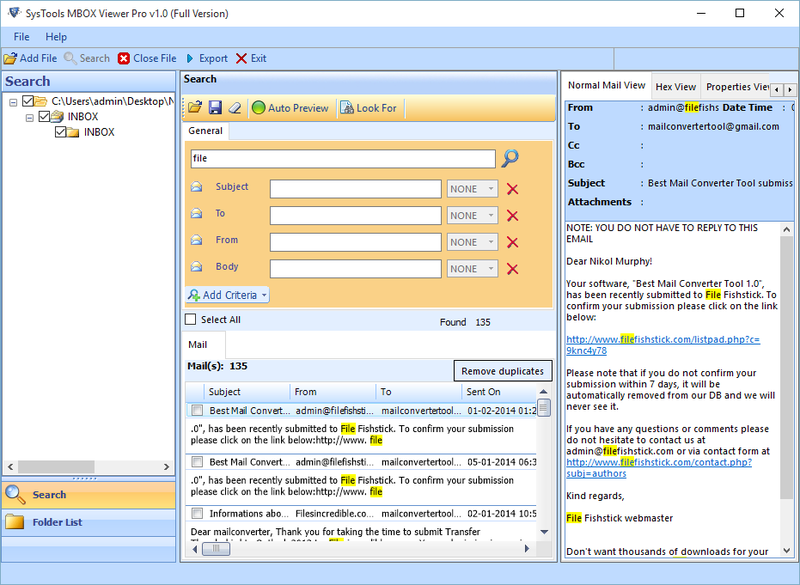 Software offers an advance process of completing emails and attachments within MBOX data files. One can analyze and discover suspect components from files. You can easily save, open and clear your searches to maintain examination security. Export MBOX file to PDF documents find out the search result. MBOX to PDF Converter supports reviewing various files in one handling. In spite of the fact that you can't browse MBOX documents without any delay, however can include them one by one. In this manner you can analyze data within specific MBOX documents and migrate only selective emails. When migrating emails from MBOX document (INBOX, OUTBOX, SENT, and so on.) to PDF documents the software gives an assortment of naming convention. Any of these examples can be decided for naming the yield PDF files encouraging the legitimately acknowledged introduction. The naming conventions as like; subject, date, auto increase, and so forth. 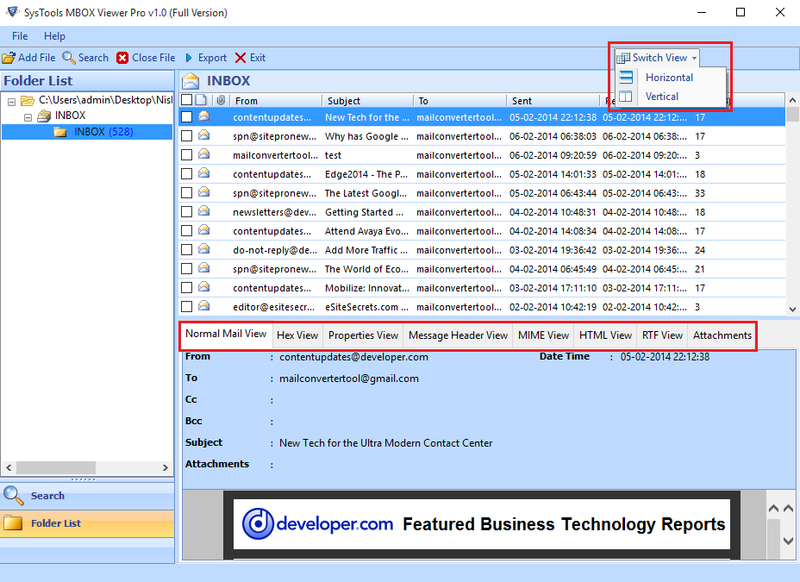 User can select desired location for saving MBOX emails as PDF documents. Additionally, you can make a New Folder specifically from your preferred software panel on any area to have the capacity to save mail items with the separate MBOX documents without merging up. 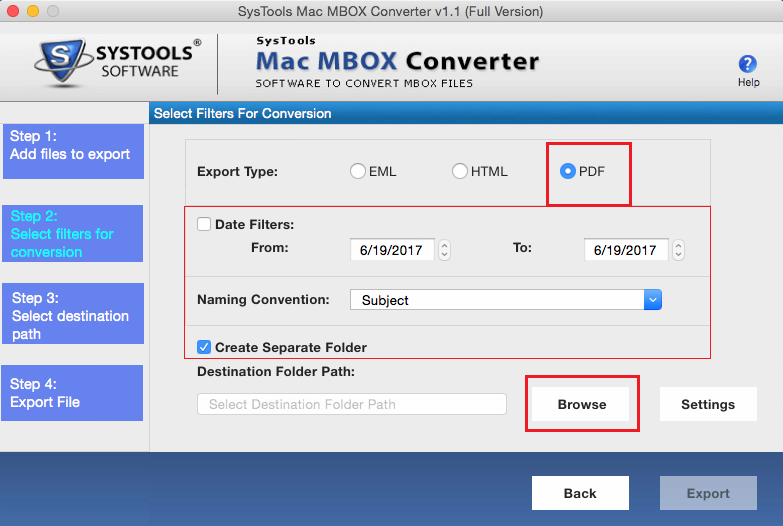 MBOX to PDF Converter for MAC Operating system is completely a stand-alone utility for migration of data from MBOX format to PDF. The utility can move as many files as users want into PDF document. Moreover, it is designed for Mac Operating systems only. The software has been developed for the accurate conversion of all the data items from MBOX emails to PDF. The utility has such advance algorithms that it makes this task possible in Mac operating system. Moreover, it creates an Adobe PDF file for each mail extracted from MBOX data file. Safety and security of the data is one of the major concerns of users and organizations. Therefore, Mac MBOX to PDF Converter is capable to retain the data in its original format. The structure of the folder, HTML formatting, and inline email attachments remains the same throughout the entire process. Time management is very important for a successful business. This is the reason the software brings forth some exceptional features to make the process quick. One such feature is moving the data in bulk. 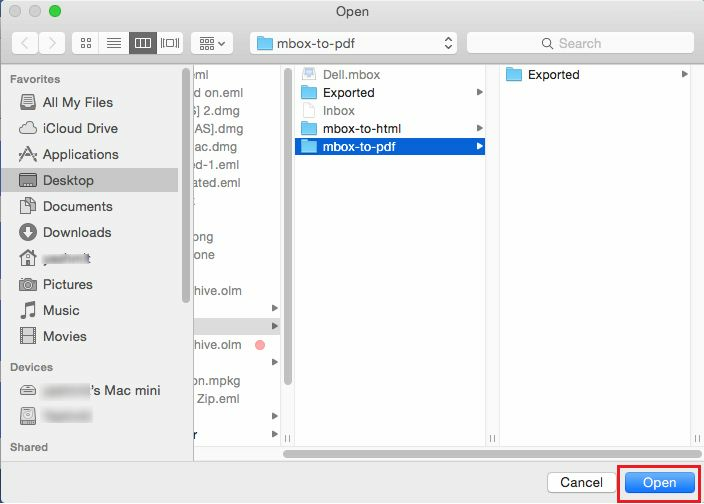 Users can migrate Multiple Mac MBOX Emails to Adobe PDF at once very easily. Apart from other interesting features of MBOX file to PDF Exporter for Mac, it comes up another option. According to this, it gives different naming convention options to save the resultant PDF files. Users can save it according to subject, date, cc, etc. This makes it easy for users to access the resultant data. Users can filter the emails according particular date range as well. It is not necessary to move all the emails from MBOX to PDF. Moreover, it can create separate folder for one MBOX file or generate a single folder for all the Mac MBOX files. The interface of the tool is easy to handle. Mac MBOX to PDF Migrator, keeps the message properties intact. This includes information such as attributes like cc, bcc, and other header information. It makes sure that all the emails are converted with intact properties. The software is compatible with Mac OSX 10.10, and 10.11 editions. Apple mail to PDF Converter tool allows to batch convert Apple Mail to Adobe PDF format by maintain all email element in complete mode of data. So that you can easily create backup of your mails without any loss of data. Mozilla Thunderbird to PDF Converter Software is the best choice for those who wants to achieve Mozilla Thunderbird email messages to Adobe PDF file format. It's standalone utility that supports to convert and export mail files. 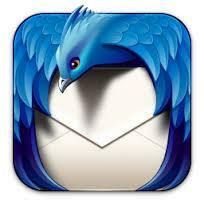 Entourage is an email client and also personal information manager. it is tremendous solution which allows only for the required Archive mails with images, attachments etc. 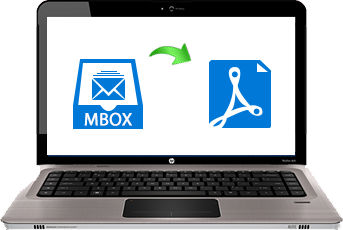 Entourage email to Adobe PDF Migration provide you the option to convert MBOX messages of Entourage to PDF file format. Eudora mails to PDF Converter is a perfect tool which permits for the users to carry the content of their MBOX files over to PDF. Eudora to Adobe PDF is fast & most effective solution to export Eudora MBOX emails to PDF file format. I have never thought that conversion from MBOX messages to PDF file will be a simple and easy task. In fact I must appreciate this MBOX to PDF converter tool for helping me out in such a perfect way. I was truely relaxed when this software allows me to export bulk MBOX data files to PDF document without any data loss. Great Work!! Mac MBOX to PDF Converter is an amazing utility that I have tried earlier while performing the mail client migration. One of the best part of this tool is that easily to export bulk MBOX data and easy to use interface. It is an Outstanding software I ever used, simplified and up to the point. Great work was done by the software developer's team for such an efficient solution. I have never came across such a highly innovative utility throughout my entire career. Export Multiple MBOX Emails to Adobe PDF proves like a boon to me. I have converted all my MBOX files into PDF format very easily. I like the interface of the software very much and recommended this utility to all my colleagues. Simply amazing! This is the perfect word, which describes this utility very well. The best part of this MBOX to PDF Converter software is that it provides selective as well as bulk migration options. I want to say a big thank you to the entire team of developers for this program. 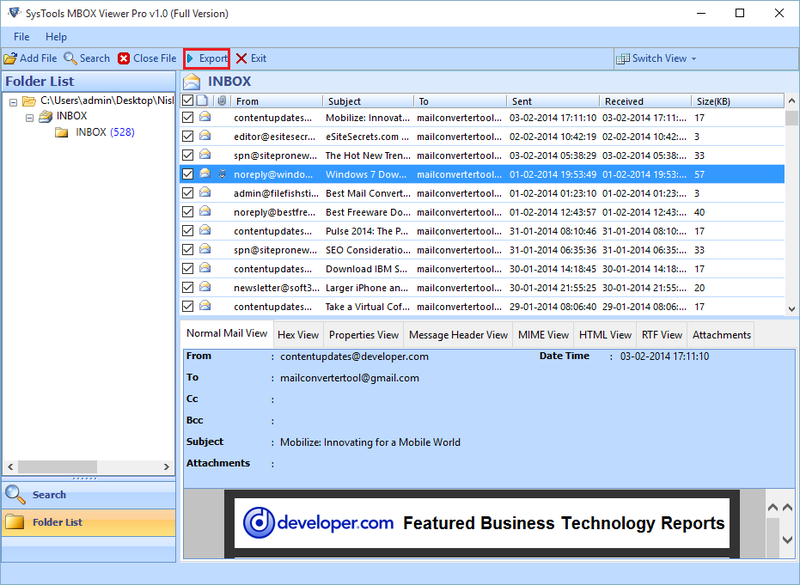 MBOX is a desktop email client file format. 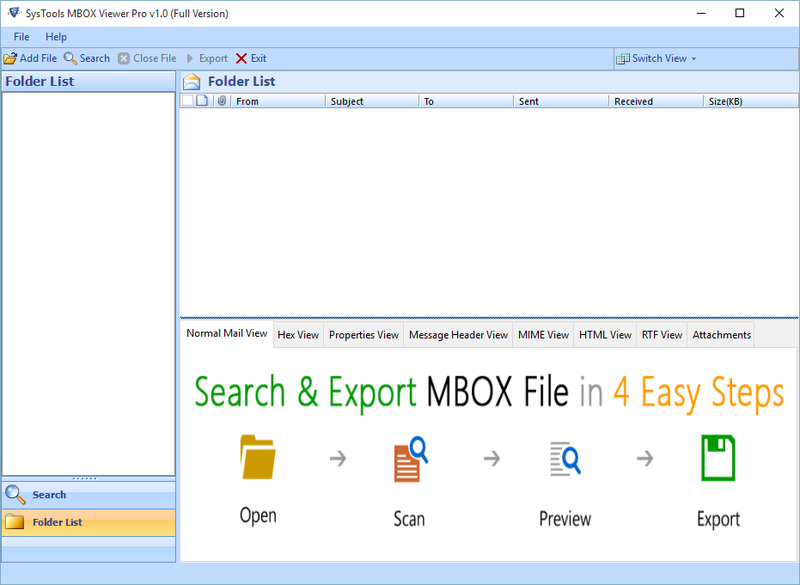 MBOX file format is used by different multiple clients such as SeaMonkey,Pocomail, Thunderbird, Apple Mail, Eudora, etc for organizing and storing emails in database. It is called as Mailbox, which can save each mailbox under a single, long file and such files can be opened by using the editors. PDF is a portable document file developed by Adobe acrobat. It can be shared in a secure manner as encryption is performed during sharing the files. It is a versatile file format that maintains the data integrity containing graphs, images, texts, etc. It is commonly used for the legal purposes, medical reports and much more. Why MBOX Data Files Are Converted From Mac MBOX to PDF? Most of the users are looking for MBOX to Adobe PDF converter tool to export multiple .mbox files in PDF format. It does not require any email client to read and open the PDF documents. However, to read Mac MBOX file users need a supported email client. This is the reason that sometimes users want to move Mac MBOX files to PDF format. Also main Reason behind the data conversion is that the manual approach is suitable to move few copies of MBOX data to PDF file format. But, bulk conversion is not a simple task to export MBOX data into PDF format. Therefore, many users can prefer to use the third party tool. 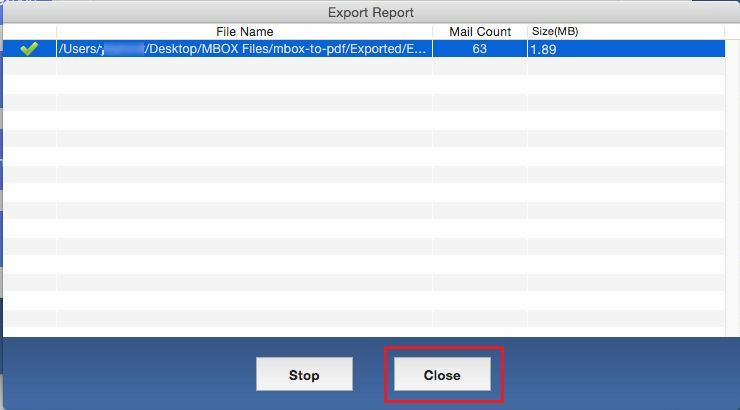 Export Multiple Mac MBOX Emails to Adobe PDF can perform the conversion strategy without making any modification in the MBOX file. For many users who want to migrate from Thunderbird, Eudora, Apple Mail etc. to PDF file can go for this reliable tool without any difficulty. The tool can easily convert multiple .mbox data to PDF file format and does not require to work with any technical knowledge. Mac MBOX to PDF Converter is the best example of a simplified technology. It so tough to perform this manually therefore, using this application it becomes very easy to move MBOX files form Mac operating systems to Adobe PDF document. Apart from this, it makes the process very easy by bringing so many attractive features. This feature includes date filter option, selective migration, bulk migration, maintenance of data integrity, etc. Moreover, it supports Mac OSX 10.10 and all the above versions. Therefore, MBOX to PDF Converter for Mac is the best software to execute this task.